If you and your loved ones are covered by Delta Dental insurance, finding a dentist who accepts your plan is the first step to making the most out of your investment in your oral health. At Heart of Texas Smiles, our team is pleased to be in-network with your provider to help make your dental care as affordable as possible. 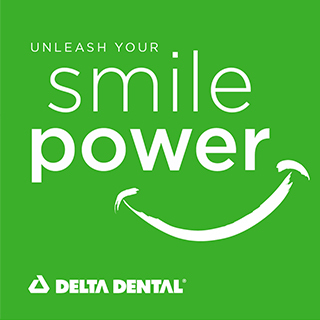 Keep reading to learn more about Delta Dental insurance, how it works, and how we can help you maximize your investment for a healthy, beautiful, long-lasting smile! 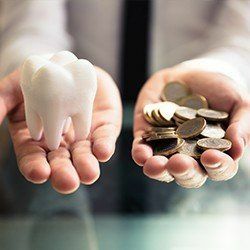 Most dental insurance plans work on a fee-for-service basis, meaning you pay a set monthly premium in exchange for major savings on dental care. Most premiums range around $50 per month. After you have met your deductible for the year, or the amount you have to pay out-of-pocket before your insurance will kick in, you are eligible for $1,000 to $1,500 worth of care. That’s your annual maximum. 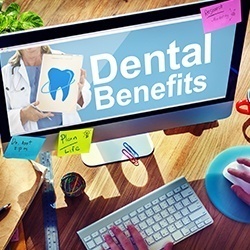 Visiting an in-network dentist is the easiest way to make sure you are getting the most out of your insurance benefits. An in-network dentist has agreed with your insurance provider to offer certain general and restorative services at a fixed price for you. When you come in for a treatment that is completely covered (more on coverage below), no money exchanges hands. For everything else, simply pay your portion at the time of your appointment. We will file the paperwork and receive the full amount later on. 100% covered: Preventive treatments like six month checkups and cleanings, X-rays, and possibly fluoride treatments and dental sealants for children. 80% covered: Basic restorative treatments, like tooth-colored fillings, root canals, and tooth extraction. 50% covered: More complex restorative treatments or tooth replacements. Cosmetic services and elective treatments are usually not covered by a dental insurance plan. Orthodontics (including traditional braces as well as clear options like Invisalign) may receive partial coverage. Visiting a dentist who accepts your Delta Dental insurance in Waco is the first step to maximizing your investment. When you come into our office, we will verify your benefits to determine just what you are eligible for. 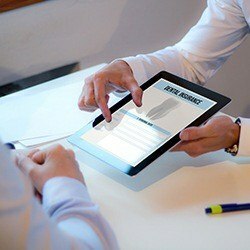 Then, we will make recommendations based on your coverage and oral health needs. Scheduling and attending two checkups and cleanings per year. Taking care of any unfinished treatment plans within a calendar year if you have met your deductible. Reaching as close to your annual maximum as possible before your plan renews on January 1 of each year. If you are covered by Delta Dental insurance, don’t wait to schedule an appointment with your dentist in Waco! We work with your provider to make paying for dental care a breeze -- so you’ll always know you’re getting the most out of your investment. We invite you to request an appointment today.